Welcome! 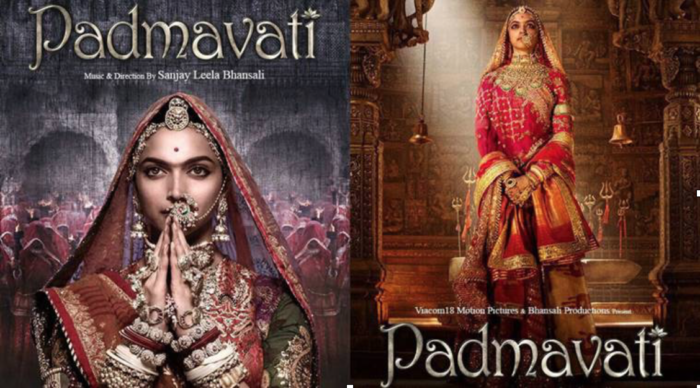 Here is the list of 5 places in Mumbai you must visit for shopping when you are on a short trip in the Bollywood Land. 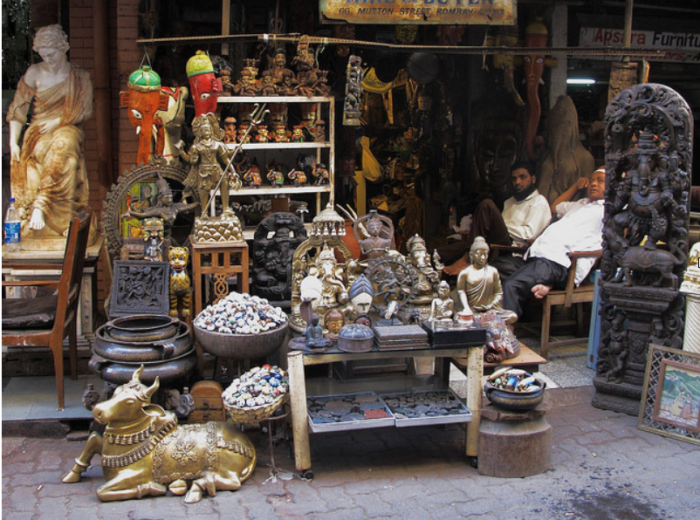 Along the lanes of about a century old Victorian architecture in one of the most posh areas of Mumbai, stands a long street market where one gets spoiled for choices. USP of the shops here are accessories, books and antiques. 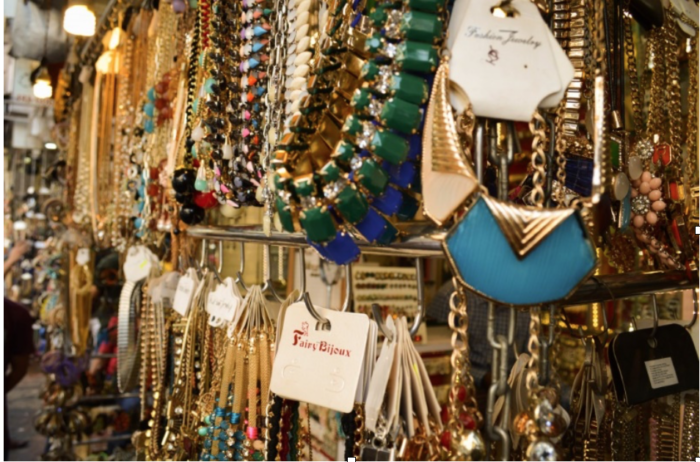 With a wide range of rings, bangles, ear-piece, neck-piece, bracelets, anklets and so on, this is considered a heaven for people who love to get dressed. All the accessories are available at a throwaway prices starting from just Rs. 100. You mix and match across street and in no time you will have a complete accessory set from head to toe. 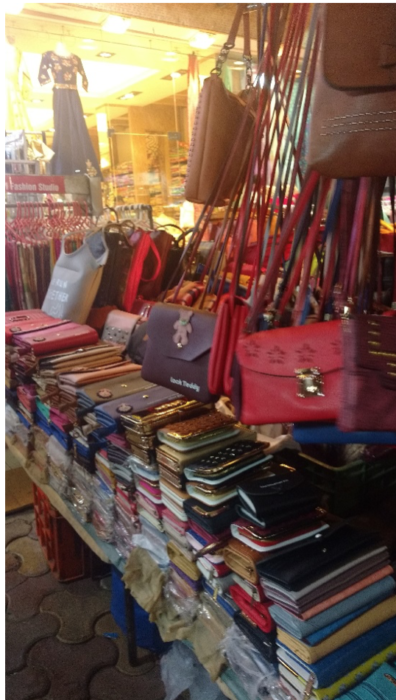 A bit of search here and there and one can easily find perfectly complimenting purses, bags, wallets to go with your recent accessory purchase, now isn’t that a cherry on the cake? Book lovers have their own share of joy as a few vendors sell the books on per kilogram basis. New books, old books, used books from best-selling authors across the globe are present on shelf, one just needs to go there and pick the book for self. And after all the shopping, when a tired body and a hungry stomach calls for help, the best of the cafes are at disposal. 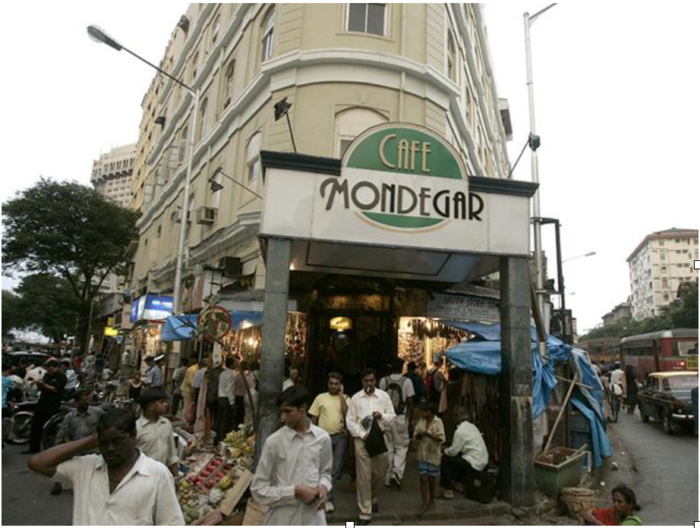 The legendary Leopold Café and the Irani café Mondegar are just round the corner for a quick bite before you set out for another shopping spree. 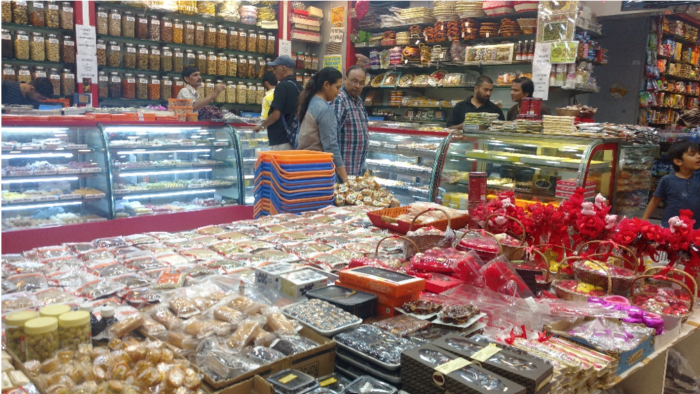 If you have just landed in Mumbai and have some 4-5 hours at your disposal and you want to go to place where you can find everything under one roof, Irla Market should be the place you should head towards. 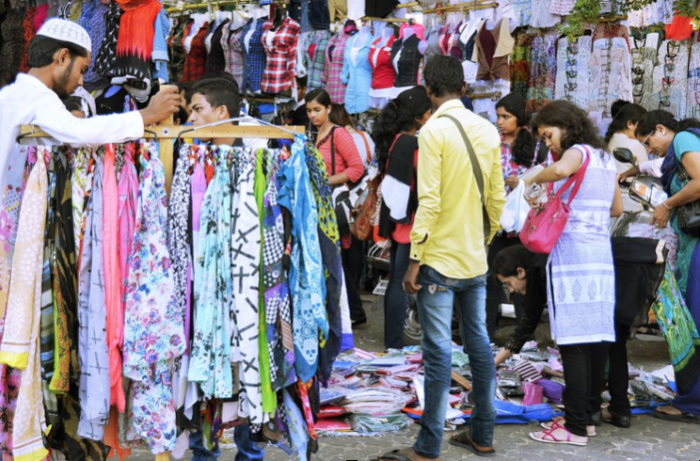 Clothes, accessories, home décor, gift items, consumer durables, electronic accessories, crockery, home utilities, grocery items, sun glasses, watches, bags, purses and shoes, you will find everything in the radius of 50 meters. In short, you get sugar, spice and everything nice at one place. The market is dominated by Alfa stores, with 5 stores, each store dealing with a segment. 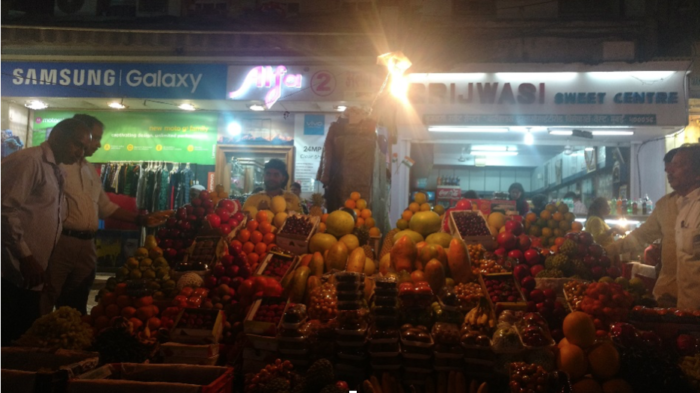 All the stores are in a radius of 50-100 m from each other near Lady of Velankanni Shrine. The Alfa 1 offers you imported food items and chocolates, groceries, watches, clocks, eye wear and foot wear, Alfa 2 provides you a plethora of accessories like necklace, earrings and bangles, cosmetics and beauty products and phone accessories at very low prices. 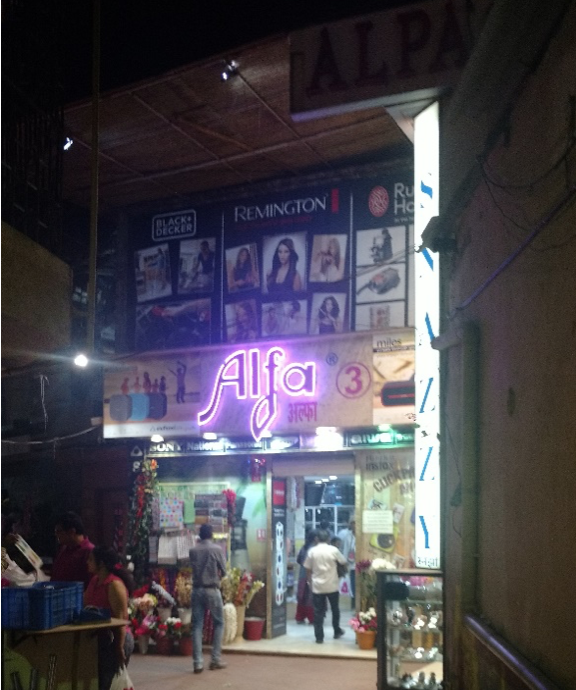 Alfa 3 is huge interlinked store offering you consumer durables like TV, microwave, refrigerators, iron, mixer-grinder at the entrance of the store. 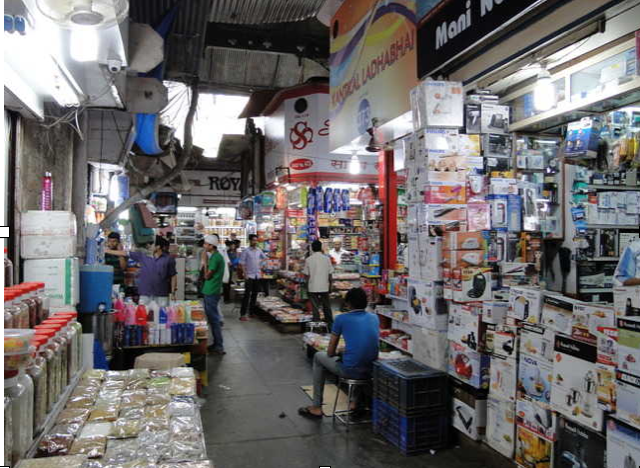 As you navigate through a maze like structure of the store, you will come across various segments at different levels. You begin with bags and purses, and move on to home décor which includes bed sheets, curtains, pillows and cushions, show pieces in different shapes, sizes and color and just when you think you have reached the end of the store, you reach the next step, the crockery and cutlery section. A wide range of fancy crockery, cups, mugs and dinner sets, each so unique, you get spoilt for choices. Finally Alfa 4 & 5 offer men clothing and accessories, from local make to big brands, formal wear to casuals and party wear to ethnic items, you will definitely find something or the other of your liking. If batch purchase is your idea for shopping, Irla iswhere you need to head towards. 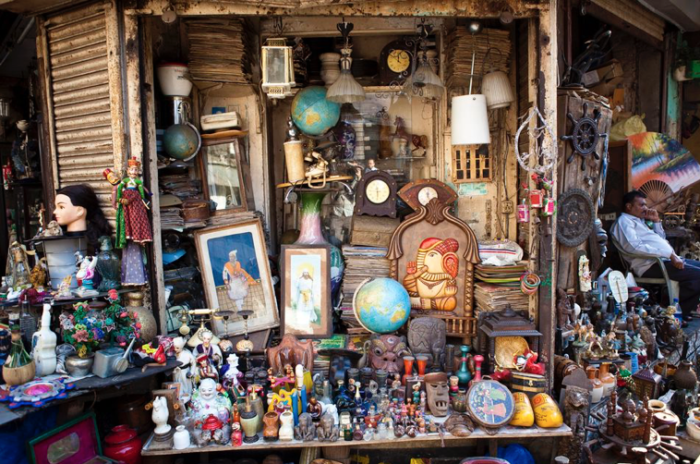 If Old grandma’s pendulum clock, century old telephones, miniature versions of cameras and other antique pieces entice you, trust me you’ll find heaven in the crumbling buildings and narrow lanes of this ages old, one of the biggest flea markets in the world. 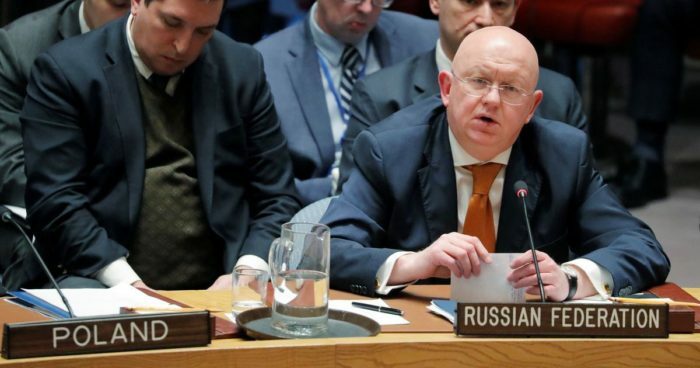 Literally translating to “Thieves Market” you can find some pretty rare antiques at the rate of peanuts in this market. The flea market has also changed with the time, and offers you phones, cameras, electronic stuff etc. at throw away prices, but, doesn’t offer guarantee on the products. The aura of the market in itself is an experience worth taking, the hustle and bustle through the streets and the loud cries of the vendors fill in the atmosphere, completely bringing a different level of energy in the market. The market is open on all days from 5 in the morning till 10 in the night, with Fridays being the best day to visit as the entire market is lit up and fresh stock is on sale. 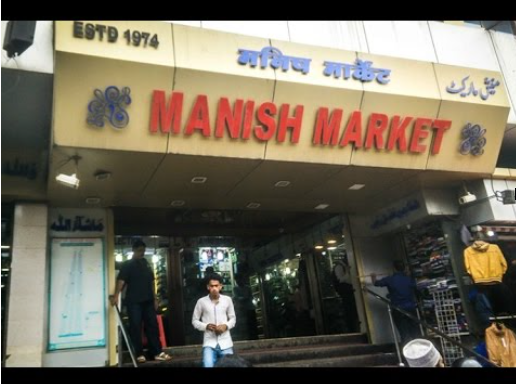 Manish Market is one of the best places in Mumbai where you can buy electronic goods and accessories at prices way below MRP. 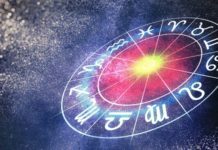 It serves as a wholesale market for Chinese products like MP3 players, Digital Displays, LCD Screens, Fancy Lights and other fancier products that are visually pretty and appealing to the customer. Apart from these, you’ll get phones and phone accessories like battery, earphones, headphones, Bluetooth speakers and ear piece and a whole lot of other products which you would have never heard before. It’s a best place to get fancy back covers for mobile phones at 1/3rd price as offered in the branded and online stores, tempered glass cover at as low as 30 bucks and other accessories at much cheaper price, also depending on your bargaining ability. 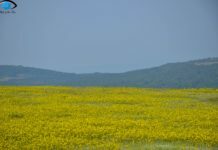 All it takes is a bit of searching and a lot of walking to get what you want. A fairy land for all the girls in the town, the entire 2-3 km stretch is dedicated to everything girly. The market is very famous for clothes and dresses. 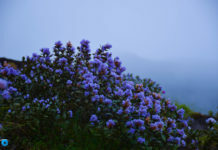 The market rigorously follows Darwin’s theory of adapt and survive, as the goods on sale keep changing with the seasons. 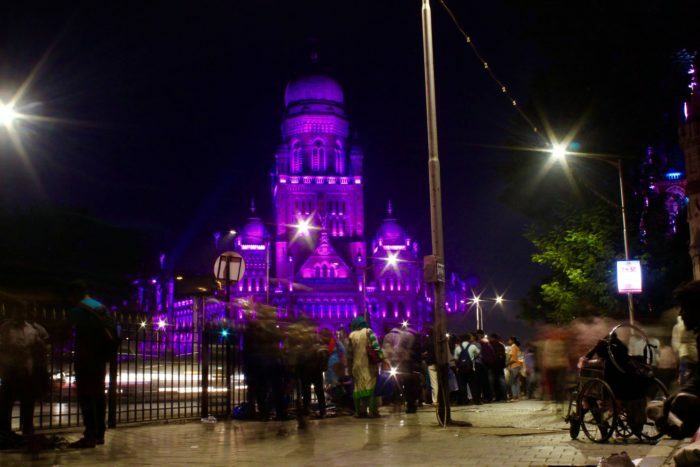 The fancy umbrellas dominate the Mumbai rains, while the sweaters and hoodies warm up the markets in winters and the summers are filledwith cool shades of beach wear and Hawaiian outfits. Most of the clothes here are imported from Hong Kong, China and Bangkok. To go with the attire, you have accessories, bags and footwear to choose from to have a complete wardrobe makeover. As you move out towards Hill Road, you get first copies of the branded clothes and bags, an identical twin of the branded apparel, at 1/10th of the price. There are a lot of factory outlets of the brands which do sell at a price cheaper than MRP. The street markets sell at their own price, and rest is left at your wisdom of choice and skills to bargain. So, these were the 5 best places to unleash your shopping monster hidden in you. 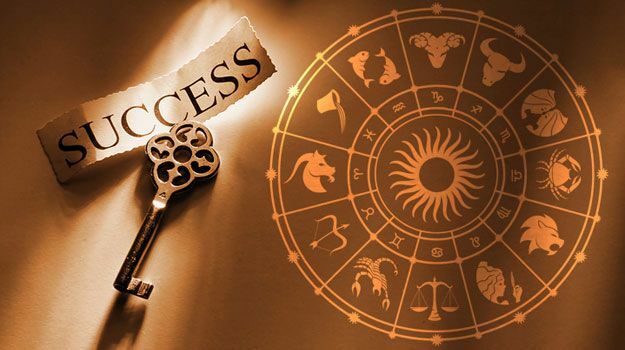 Try for yourself, and you will find the right fit that you always have been looking for. The colour of our Journalism is not Yellow, neither black nor white. It is colourless in colour, transparent like water we stand true and unaffected by the threats and warnings,We serve truthfully. We are the bridge between the mass and events, and prerequisite in nature like water. We stand as the fourth pillar of the democratic nation and know our responsibilities and importance of our existence.